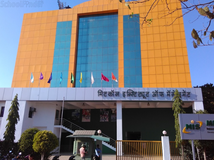 Find below the list of top CBSE schools in Shivaji Nagar - Pune with phone number, address, 360° School tours, 2018-19 Admission forms & Fees, photos, facilities & more. The Bharatiya Vidya Bhavanfounded in Mumbai in 1938 by Dr. K.M. Munshi, a visionary and multifaceted personality, conceptualized Bharatiya Vidya Bhavan as a comprehensive national organization. It has grown from small beginning into an all India intellectual, cultural and educational movement. Its aim is to revitalize Indias intellectual, cultural and educational ethos. It seeks to preserve the ancient values of India i.e. Bharat and harmonize them with the changing needs of modern times. Bharaitya Vidya Bhavan has a nationwide network with 125 Centres. At Vikhe Patil Memorial School, we are committed to the pursuit of excellence. It is our goal to address the varying needs of our young students academically, socially, emotionally and physically and in so doing, provide the highest quality educational experience to all. The school has been granted affiliation to the Central Board of Secondary Education New Delhi with effect from 01/04/2007. VPMS promotes participation in various sporting events at the Local, State, National and International levels. Vikheites have done the school proud by winning a number of accolades in this arena. Selection for Inter school events will be conducted in the month of JUNE Students of VPMS are exposed to a number of activities both co curricular and extra curricular. Gurukul strives to enhance a child?s physical, social, emotional, and intellectual development in the most crucial years of the child?s growth. We encourage children to inculcate a positive attitude towards learning, which will hold them in good stead throughout life. To meet this goal, it is essential to help children set realistic goals and undertake challenges in school that would hone their capabilities.Gurukul?s distinct tradition, culture of innovation and indomitable school spirit, provides a fertile learning field for the New Age Child. Gurukul is an inclusive school where we have students of varying abilities helped with personalised attention. The teacher?s role in this enterprise is more to inspire than to teach - to be a facilitator, role model and a guide.Creating a quality learning environment involves everyone - parents, students, teachers, support staff and volunteers, each bringing a unique perspective and contribution towards fulfilling the school philosophy. They are essential ingredients of our school?s continuing success. 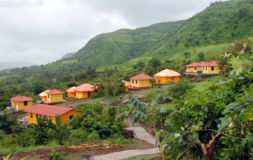 St Joseph School Pashan is located in Pashan, Pune. It was established in 1952. This school follows the State board. The school has English medium. 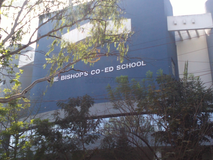 St Joseph's Girls High School Khadki is located in Pashan, Pune. It was established in 1951. This school follows the State board. The school has English medium. Although there are many top CBSE schools in Shivaji Nagar - Pune it is not necessary that each one is suited to your child's needs. That is why you need to analyze and consider every factor about the best CBSE schools in Shivaji Nagar - Pune before settling for one. 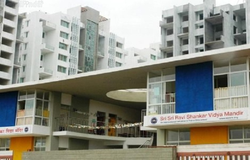 Sqoolz's list of best CBSE schools in Shivaji Nagar - Pune makes this job easier for you. Find every detail that is necessary before choosing the right school. You can also take our virtual tour, a feature solely designed to give parents a sense of assurance.